With his work Horisumi aspires to create highly detailed, richly coloured tattoos that are elegantly simple yet created to last a lifetime looking bright and sharp. He aspires to make each tattoo, whether a small flower on the leg or a dragon full bodysuit, a one-off masterpiece. Kian Forreal works under the Traditional Japanese Tattoo name of HORISUMI and specialises in Traditional Japanese Tattoo also known ‘Irezumi’ or ‘Wabori’ and works using the ancient hand poke method of Japanese tattooing called ‘tebori’ that he has studied in Japan under a master of the craft. He uses tattoo machines to make outlines only, and for his background shading and colours he works solely by the traditional hand poke method which causes much less pain than tattoo machines, produces brighter colours, less bleeding, less skin trauma and a much faster healing process. Tebori style also creates a very unique look to the tattoo when healed as compared to machine work, the hues and tones of the inks are much more rich and saturated in the skin and the tattoo looks definitively alive. 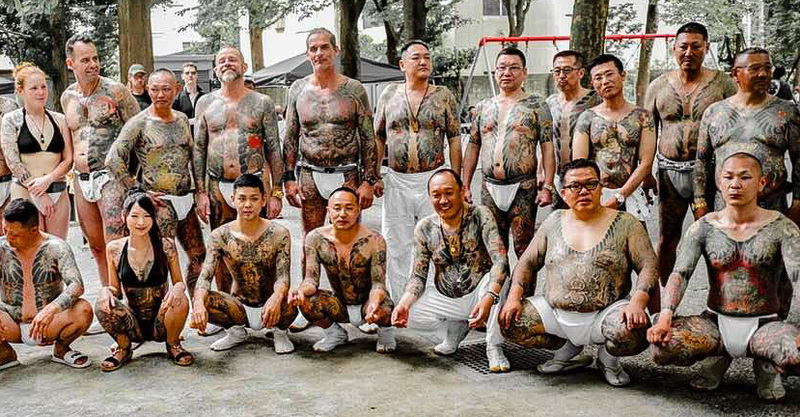 There are only a handful of tattoo artists worldwide that can create beautiful and authentic tattoos in this way and most of them are based in Japan. 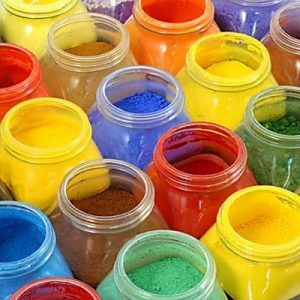 The pigments, inks and materials that Horisumi uses are all imported from overseas and are mixed by hand in his colour lab creating his signature tattoo ink colours and tones. The rich blacks and shades of black that Horisumi uses are all made from premium sumi sticks imported from Japan, and are ground and mixed by hand as well. 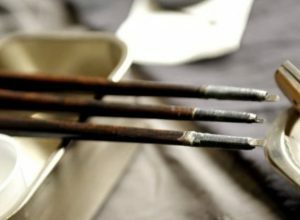 The imported high grade Japanese steel needles that are utilised to make the highly specialised Tebori hand poke tools are single use and disposable. All of his equipment, supplies, needles, ink and tools are of the highest quality, have been tried and tested for generations by Japanese tattoo masters and are solely utilised for his work, no expense or effort has been spared. When Horisumi is not drawing, painting, or designing he also frequently writes for tattoo magazines on current affairs, tattoo culture and tattoo history as well as opinion editorials. 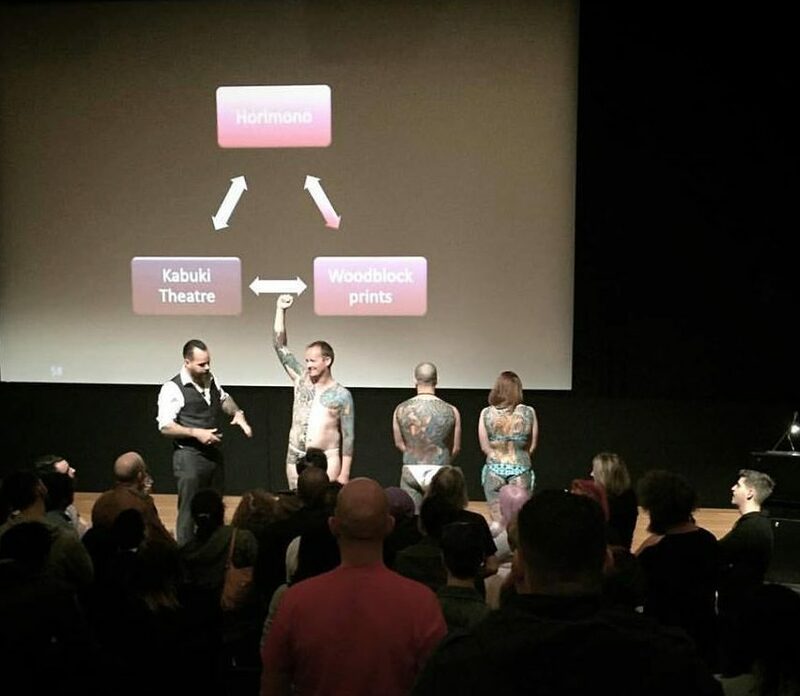 Another passion of his aside from art and tattooing is researching Japanese tattoo culture and he regularly gives lectures and seminars on Japanese tattoo art, history and culture and do tattoo public demonstrations. Horisumi has presented at the prestigious Art Gallery of New South Wales, the Japan Foundation in Sydney and at the Newcastle Museum of Art. Horisumi began his path into tattooing in 1986 and devoted himself to the craft in 1993 getting his start with ‘Crazy Ace’ Daniels in Toronto, Canada. Working professionally across North America and Europe for more than a decade and a half plying his trade and learning from many leading tattoo masters across the world before settling in Australia. He still studies his craft every day and enjoys being the perpetual student and a mentor to younger tattoo artists. Horisumi has ongoing studies in Japan with a Tebori master and visits frequently to immerse himself in the Japanese culture. Coming from a Canadian background and having lived in Europe for many years his inclination for travelling the world and seeking ‘more’ came very naturally and in doing so he has worked with and learned from some of the best tattoo artists living today at some of the finest tattoo shops around the globe. The name ‘Horisumi’ was bestowed to Kian Forreal by Japans most famous Irezumi Tattoo Master and prolific artist, Horiyoshi III in 2013. Horisumi is greatly indebted to all the great tattoo artists, craftsmen and painters, living and deceased, whose shoulders he stands on and is continually inspired by on daily basis; foremost is Horikashi his tattoo brother and mentor, master tattoo artist, master craftsman and master painter, he is a legend in the making! The living legend himself Gifu Horihide whom without whose efforts Japanese tattooing may have taken decades longer to reach the west. His good friend Asakusa Horikazu for staying true to the life and being a shining example of what real Japanese tattooing is based on, Horiyoshi III for his constant drive and perseverance and creativity, Horikitsune for being a great friend to him and a source of support and inspiration, Horitoshi (Family) for being as Traditional and real as it gets, and many others that are too many to mention each by name. If anything, his work is a tribute to them. Horisiumi at Sanja Matsuri in group photo with Asakusa Horikazu and friends. Horisumi focuses on and specialise in Traditionalist Japanese Style tattoo (Horimono), with his preference being Japanese bodysuits i.e: large works such as full back, sleeve, ribs, chest and legs all joined together using seasonal and natural elements. He very much prefers starting with a full backpiece and building the bodysuit from that and gives priority for clients wanting bodysuits starting with full backs. That said, he does enjoy all Japanese tattooing and is more than happy to do a 1/2 sleeve with chest plate as a starter piece if that is what you are after! 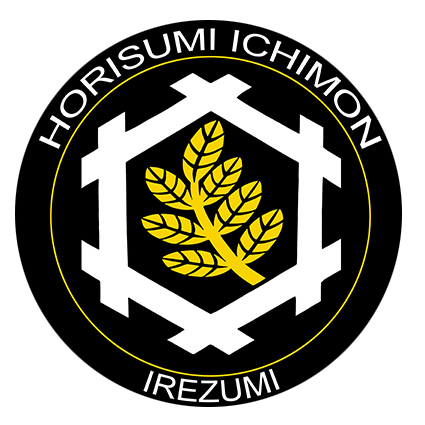 Horisumi loves it all so please don’t hesitate to contact him with your design ideas when you are ready to commit!